Western Red Cedar is the perfect wood for sauna building in Canada and the USA. In North America, we have access to large forests of Western Red Cedar in Oregon and British Columbia. There are over 2,500,000 cedar saunas in use in Canada and the U.S.
1. Red Cedar is one of the Most Stable Softwoods Known - when used to build a sauna. (a) cedar does not become hot to the touch because of millions of tiny air cells in the wood. (b) cedar does not expand to any degree when the sauna is hot. (c) cedar does not absorb moisture even though water is often used inside a sauna. 2. Cedar Resists Mold and Fungus Growths - due to the phenolic oils that give cedar its resistance to weathering, cedar will resist all mold and fungus. When used to build a sauna, cedar will last a lifetime. Cedar roofing shingles last 70 years. Cedar for fence posts is the only wood of choice. 3. Cedar Must be Kiln-dried to an extremely low 9-10% Moisture Content - cedar that is used in a sauna must be kiln-dried to an extremely low moisture content of 9-10%. Any wood used in sauna building that is not dried properly will shrink over time in the heat of the sauna. Eventually there will be large gaps between the boards. Wood that is merely air-dried will retain its moisture at 17 to 25% M.C. and will be unsuitable for use in a sauna. Air-dried tongue-and-groove boards can shrink as much as 1/4" per board. REMEMBER - a sauna is really an oven - it will dry the wood each time you use the sauna, shrinking the T&G boards in the process. 4. Our Red Cedar is Not Available in Europe - European sauna builders use hemlock, spruce, pine and aspen. None of these species have any resistance to mold or fungus growths so cleaning and drying the sauna afterwards is very important to them. 5. Cedar is the Most Popular Wood Used in Infrared Saunas - in the 1990s, North American Red Cedar became the wood chosen by infrared sauna manufacturers because of its light weight, it was easy to shape into boards and its resistance to mold. It remains as the best sauna wood today as no one has been able to find a better wood. 6. Redwood is Not Red Cedar - a native to California, redwood was often used in the 1980s for sauna building. With decreasing supply and rising prices, redwood became too expensive to use for sauna building. Just as well, as redwood darkened up over the years until it looked "dingy" in a sauna. But Red Cedar retains its appearance without discoloring. 1. Eliminate Mistakes - manufacturers are best equipped to supply the 30 to 44 different parts that are needed along with detailed instructions that match the parts, eliminating costly mistakes and frustration. 2. Prices are Low for a Sauna Kit - It is not an expensive decision to buy a professionally-designed sauna kit from an experienced supplier like Home Saunas Since 1974. We strive as a factory to always have low factory prices - our sauna kit customers report that our kit prices saved them $600 to $1,200 on their project. 3. 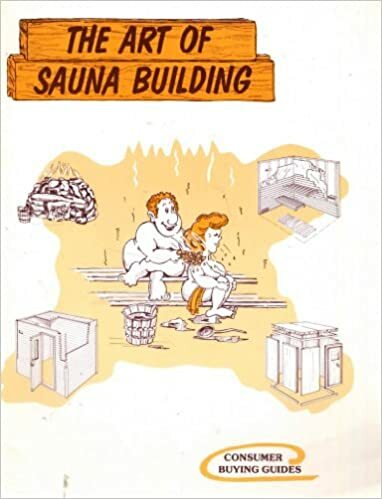 Instructions are Important - our instructions have seen constant improvement since 1974 when we started in the sauna business. In addition, our customers get our best-seller book, The Art of Sauna Building and we share our "Tips to Avoid Mistakes Made by Others" with you. (1) "The Best" Series Sauna Kits - have our best quality and includes all 24 upgrades including our thickest cedar boards.. It is our most popular DIY sauna kit. Up to 44 parts are included. >>>... Learn More - "Our Best" DIY Sauna Kit. (2) The "Deluxe-PLUS" Series Sauna Kits - have a lower base price which may suit a sauna builder on a tighter budget. Upgrades and options can be added "a la carte" so you can pick the upgrades that bring value to the project. Up to 38 parts are included. >>>... Learn More - "Deluxe-PLUS" DIY Sauna Kit. (3) The "Standard" Series Sauna Kits - have the most economical price for tight budgets. The T&G cedar lining is thinner to reduce cost. There are less options, less sizes - you select the upgrades that bring value to the project. Up to 35 parts are included. >>>... Learn More - "Standard" DIY Sauna Kit.